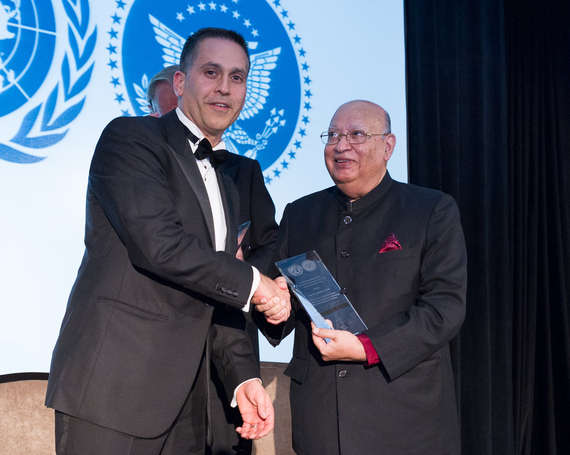 Last month, I had the honor of attending the United Nations Association of New York Humanitarian Awards Dinner. The theme of the evening was Empowering Women: Promoting Peace and Progress. 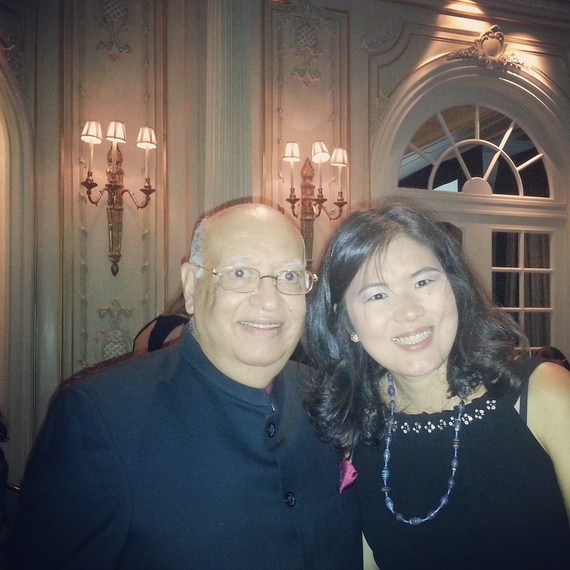 Lord Raj Loomba, CBE was honored for dedicating his life to doing just this -- empowering women. More specifically Lord Loomba, CBE, has promoted the empowerment of widows and their children across the globe. As Founder and Chairman of the Loomba Foundation, he has personally taken on the plight of widows and their children by shining a light on their challenges and developing initiatives to support their needs. We met a few weeks later at this dinner which also honored Mr. Stefan Persson and Dr. Phumzile Mlambo- Ngcuka. The room was quiet when Lord Loomba shared his own story. He was eloquent in speech and explained how he used his personal loss to transform an entire group of widows and their chidren across the globe. He witnessed his own mother's grief and suffer with the status of "widow" after his father died from tuberculosis. He was just 10, but still remembers that his mother was blamed for his father's death, and within hours of his death she was asked to remove her bindi. Equally as troubling was when his mother was asked to wear all white and was no longer able to dress in her colorful clothing. Essentially she was stripped of her dignity. One of Lord Loomba's goals is to restore a level of respect and dignity to all widows. His tireless determination knows only the boundaries that governments have established, and even there he worked to bring about change. 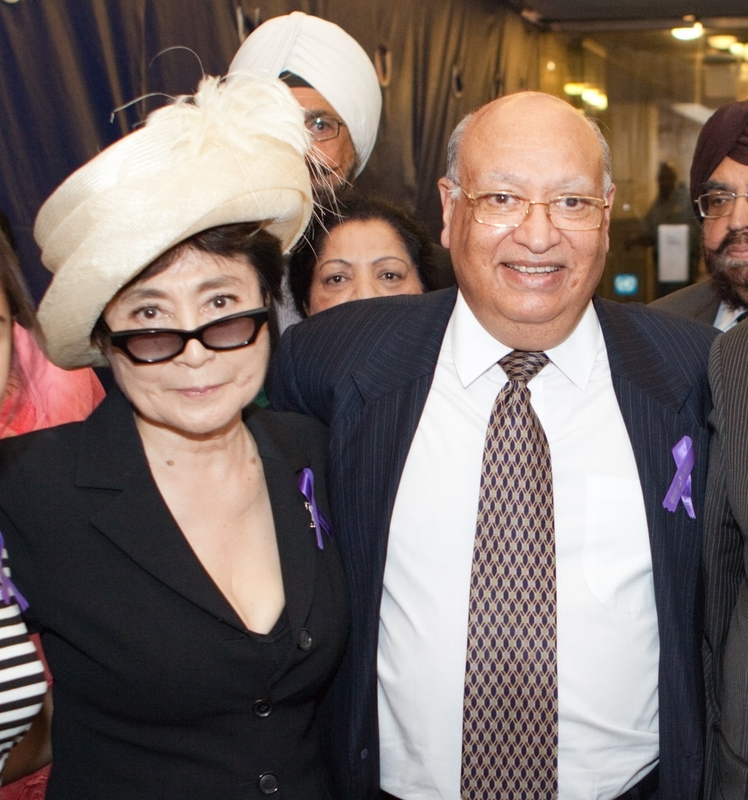 Lord Loomba spent five years campaigning with the United Nations to have June 23 recognized as International Widows Day. This date was chosen because on this date in 1954 Lord Loomba's father died from tuberculosis leaving his wife a widow and single mother of seven children. The United Nations uses the Loomba Foundation's report, titled "Invisible Forgotten Sufferers" published in 2010, as their handbook to understanding the plight of widows and their children. The publication says, "One of the main reasons why widows continue to be subjected to gross human rights violations is that although they number 245 million, there has been no comprehensive research or attempt to gather information on a global scale about their existence." Often overlooked are widows for example who are living in Kenya, Rwanda or Uganda. The publication addresses the needs and challenges of these widows. With the Foundation, Lord Loomba, CBE has created a number of initiatives, such the Punjab sewing machine project whereby helping 10k widows. This project has a tremendous reach; it helps 100,000 individuals. In London Lord Loomba, CBE told me that when you help a widow the "impact is tenfold. You empower economically and the widows are empowered socially." When widows obtain a job or skill, not only do they support their children but often teach others the craft. The foundation also recognizes the value of education. Lord Loomba said, "Rual India is hardest hit. There the widows are poor and undereducated." In India alone, the Loomba Foundation has provided educational scholarships, for a minimum of five years or longer, to over 9,000 children of widows, and supported over 50,000 family members. There are vey few who have Lord Loomba's spirit of generosity and passion for those who are first to be overlooked. He has embodied the change he wishes for the world to be.